A number of plant foods contain compounds called plant sterols. Sometimes referred to as "phytosterols", plant sterols may help to fight high cholesterol. They're found naturally in vegetable oils, nuts, seeds, and grains and are also found in fortified foods and in dietary supplement form. Studies suggest that plant sterols may help keep cholesterol in check by inhibiting the intestines' absorption of cholesterol. In doing so, plant sterols help to reduce circulating levels of cholesterol and lower your levels of LDL ("bad") cholesterol. A number of studies suggest that regular consumption of plant sterols can help fight high cholesterol. For a 2007 report published in Nutrition Reviews, for instance, researchers sized up the available research on dietary intake of plant sterols and its impact on cholesterol metabolism. Finding that higher intakes of plant sterols are linked to lower cholesterol levels, the report's authors concluded that dietary intake of plant sterols should be part of dietary advice to patients with high cholesterol (as well as to the general public for the prevention and management of heart disease). In a research review published in Current Atherosclerosis Reports the following year, scientists analyzed previous studies on the cholesterol-lowering effects of plant sterols and concluded that including plant sterols in the diet may be "a safe and effective way to reduce the risk of coronary heart disease." Additionally, a 2009 research review from Recent Patents on Food, Nutrition & Agriculture notes that daily consumption of one to two grams of plant sterols has been found to cause a 10 to 20% reduction in LDL cholesterol in scientific studies. To date, research on the use of plant sterol supplements for treatment or prevention of high cholesterol is fairly limited. Although a 2004 report published in Current Opinion in Lipidology indicates that consuming plant sterols in supplement form may help lower LDL cholesterol levels, more research needs to be conducted before plant sterol supplements can be recommended as a cholesterol-lowering treatment. In addition, a number of fortified foods (including cereal, milk, orange juice, vegetable oil spreads, and yogurt) contain added plant sterols. Although consuming plant sterols in normal amounts through food is generally considered acceptable, ingesting large doses of plant sterols may cause a number of problems (such as diarrhea, indigestion, and nausea). 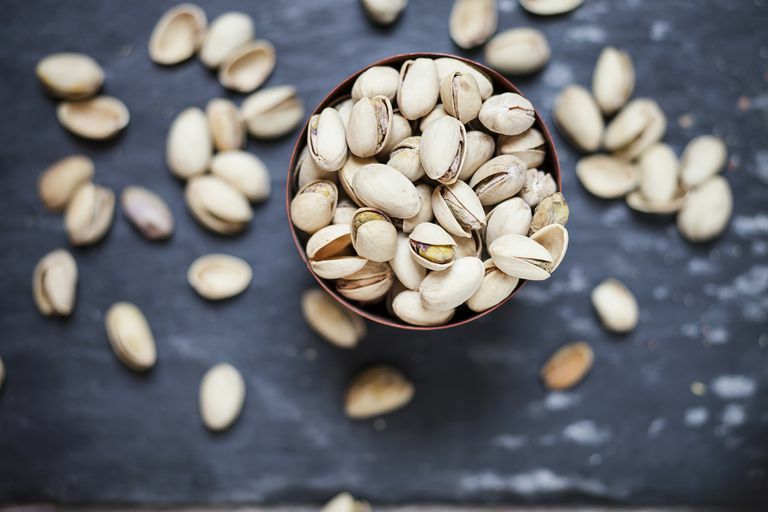 Research suggests that plant sterols can cross the blood-brain barrier, however, the clinical significance of this isn't known. Some research suggests that plant sterol intake can decrease the absorption of fat-soluble vitamins and antioxidants such as carotenoids. tocopherol, and lycopene. Increasing the consumption of fruits and vegetables to over five servings a day and including one or more carotenoid-rich source may, in some cases, be enough to offset the reduction in carotenoid levels. Keep in mind that supplements haven't been tested for safety and dietary supplements are largely unregulated. It's important to tell your doctor if you're considering the use of plant sterols. Self-treating high cholesterol with plant sterols and avoiding or delaying standard care may have serious consequences. To achieve and/or maintain healthy cholesterol levels, the National Cholesterol Education Program (part of the National Heart, Lung, and Blood Institute) recommends consuming two grams of plant sterols each day as part of a heart-healthy diet. While plant sterol supplements are often touted as a natural remedy for high cholesterol, there is currently a lack of scientific evidence to support the use of plant sterol supplements as a treatment for any health condition. It's important to note that plant sterols (or plant sterol supplements) should not be used in place of doctor-prescribed treatment for high cholesterol. AbuMweis SS, Jones PJ. "Cholesterol-lowering effect of plant sterols." Curr Atheroscler Rep. 2008 Dec;10(6):467-72. Ellegård LH, Andersson SW, Normén AL, Andersson HA. "Dietary plant sterols and cholesterol metabolism." Nutr Rev. 2007 Jan;65(1):39-45. Jenkins DJ, Kendall CW, Nguyen TH, Marchie A, Faulkner DA, Ireland C, Josse AR, Vidgen E, Trautwein EA, Lapsley KG, Holmes C, Josse RG, Leiter LA, Connelly PW, Singer W. "Effect of plant sterols in combination with other cholesterol-lowering foods." Metabolism. 2008 Jan;57(1):130-9. Kamal-Eldin A, Moazzami A. "Plant sterols and stanols as cholesterol-lowering ingredients in functional foods." Recent Pat Food Nutr Agric. 2009 Jan;1(1):1-14. Ostlund RE Jr. "Phytosterols and cholesterol metabolism." Curr Opin Lipidol. 2004 Feb;15(1):37-41. Smet ED, Mensink RP, Plat J. Effects of plant sterols and stanols on intestinal cholesterol metabolism: Suggested mechanisms from past to present. Mol Nutr Food Res. 2012 Jul;56(7):1058-72. Does Your Child Have High Cholesterol?